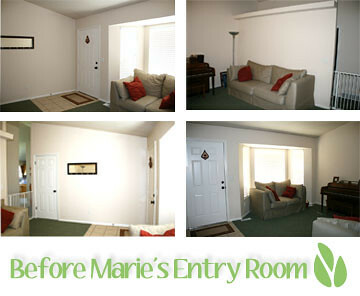 Over at Fresh Nest Design we've helped Marie from Make and Takes redesign her space! Deb and I both did a redesign this time and she's taking votes to see which one she should do. Be sure to go vote! (It doesn't have to be for me, just vote for which one you like, and which one took into consideration Marie's design style.) Click on her Before image above to go vote and see the final designs!